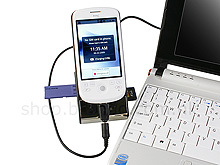 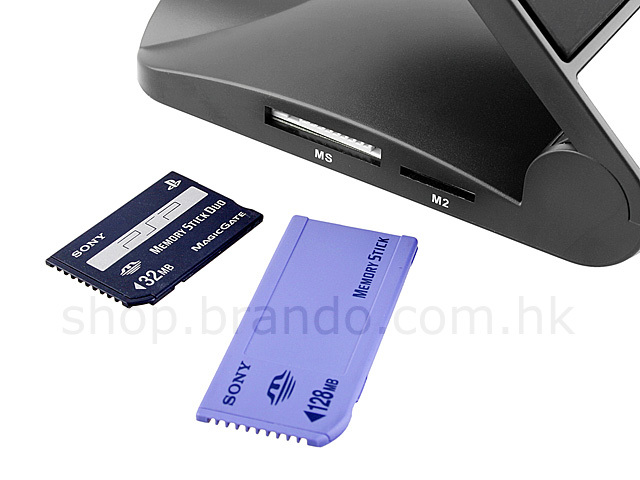 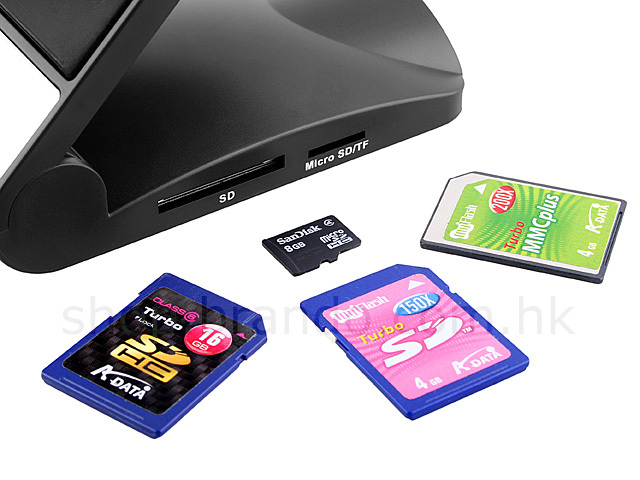 Non-slip Holder With Card Reader + Charger supports most common mobile memory cards at this moment. 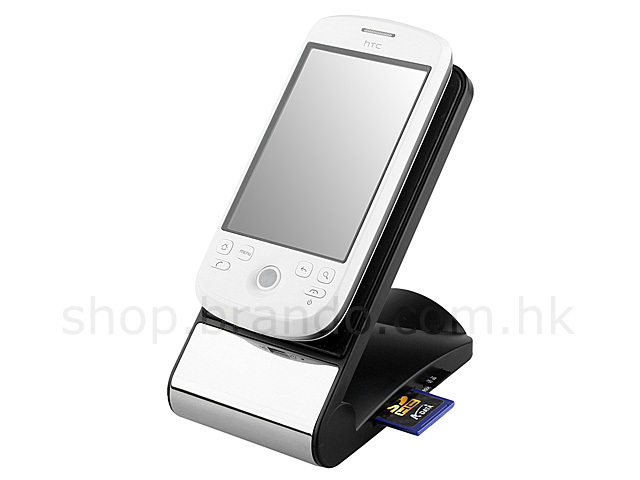 The non-slip holder holds your PDA or cellphone at 45°, a comfortable viewing and accessing angle. 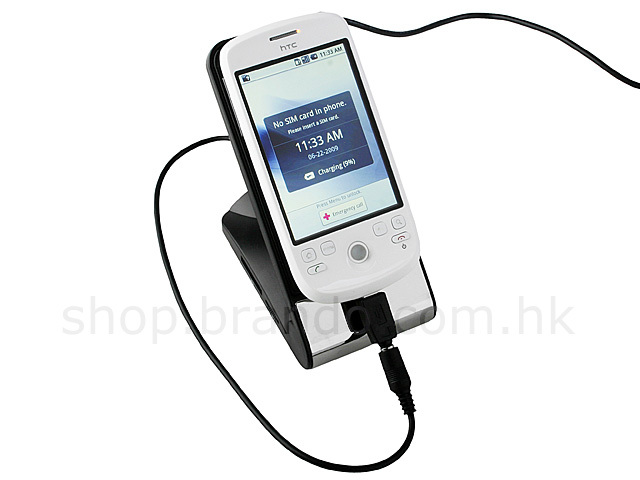 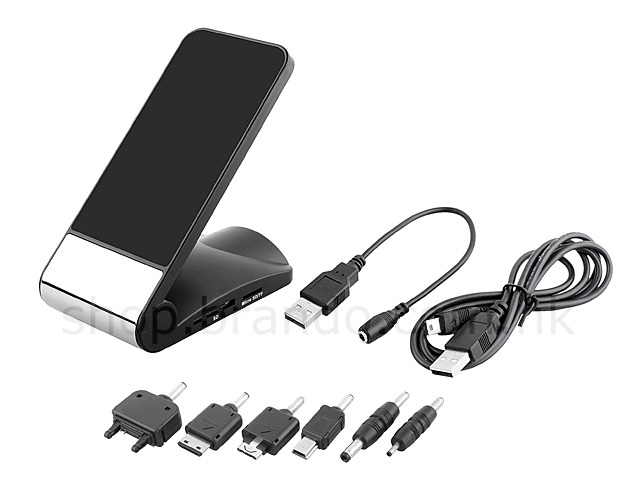 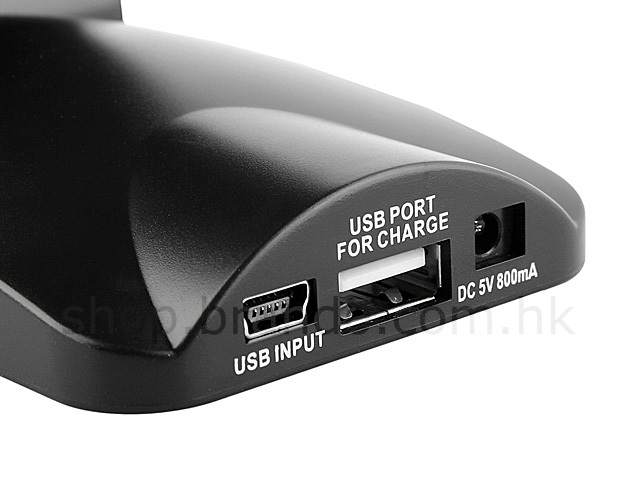 It comes with an USB mobile charging cable, let you charge your cellphone conveniently. 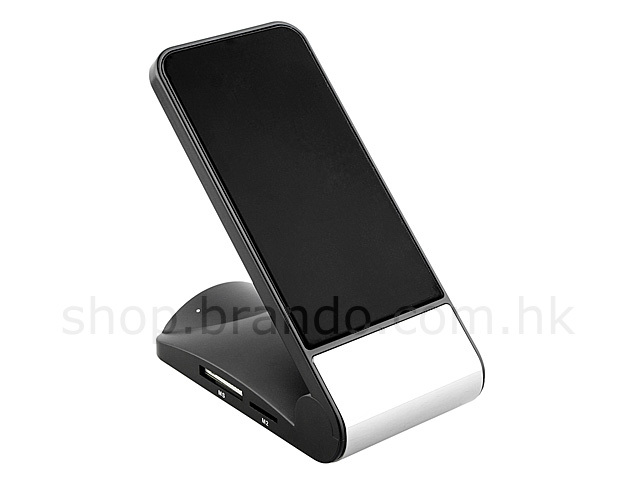 Absorb vibration and holds firm. 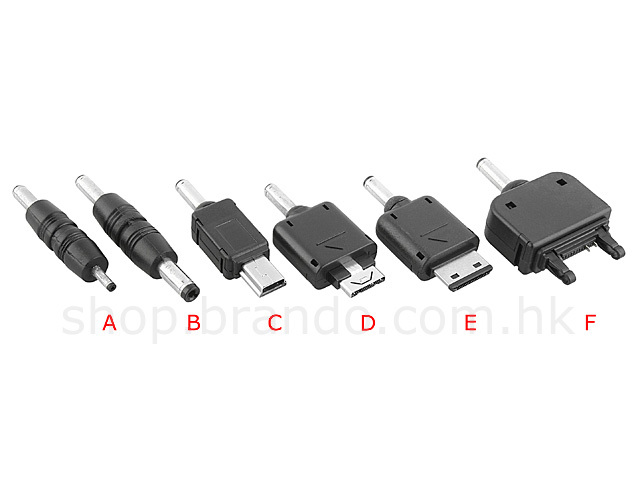 Four colors are available.